Oxxford Clothes Trunk Show, Tuesday, September 18th. During the trunk show, enjoy a 15% savings on any Oxxford suit, sport coat and trousers, purchased from stock or special ordered. Offer good thru Saturday, September 29th. 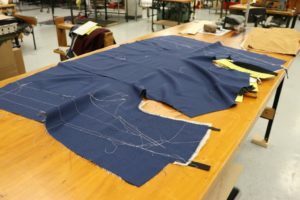 MR Magazine (The Menswear Industry’s Magazine) recently featured an article on Oxxford’s new manufacturing facility in Chicago.